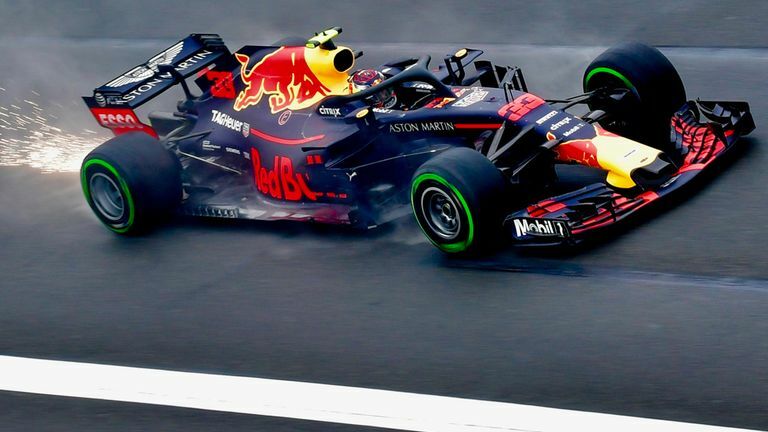 Daniel Ricciardo declared his Red Bull a "cursed car" after starting Sunday's (Oct 28) Mexican Grand Prix on pole position and ending up with another retirement while team mate Max Verstappen won. Hamilton needs to finish only seventh to be sure of his fifth world championship, while Ferrari's Vettel must win tomorrow to stand any chance of taking the title fight on to Brazil. "As soon as we got into qualifying, we knew straight away with the way the vehicle was feeling, I was like "OK we're in a much stronger position to fight for positions". Ricciardo's effort set up what could be his last chance to win for Red Bull. "It's a fantastic title number and I'm so happy for Lewis and the team, but it's bittersweet - we have had a very bad race and we need to understand it". Australian Red Bull driver Ricciardo started the day on pole but immediately lost ground after a dud start, before apparent engine failure eight laps from the finish ended his race. "There's nothing left guys, these tyres are dead", Hamilton said after running off the track on lap 47. "Mercedes and my team have just been the most incredible unit and worked to raise the bar". "Red Bull seem out of our reach at the moment, Ferrari are right there with us..."
In contrast, Vettel was flying, and after passing Ricciardo, he was straight on to Hamilton's Mercedes. "Everything feels hopeless. You know, honestly, now where I am, I don't see the point of coming on Sunday, I don't see the point of doing the next two races". The Dutchman was clearly frustrated by the result, deliberately bumping the second-place board with his vehicle as he arrived on the start-finish straight, and then bemoaning problems with his Red Bull machinery. Max Verstappen claimed the victory, with Sebastian Vettel and Kimi Raikkonen filling the podium. "We were really quick, then today I was just determined to have a good start". Ricciardo, who leaves the team for Renault next year, offered his vehicle to replacement Pierre Gasly early, claiming he was "done with it" and it was "cursed". His hard work was in vain, however, as the Spaniard could only manage 12th fastest between the two Force India cars of Esteban Ocon and Sergio Perez, both deciding to use the slower ultrasoft in Q2 and will start 11th and 13th as a result.